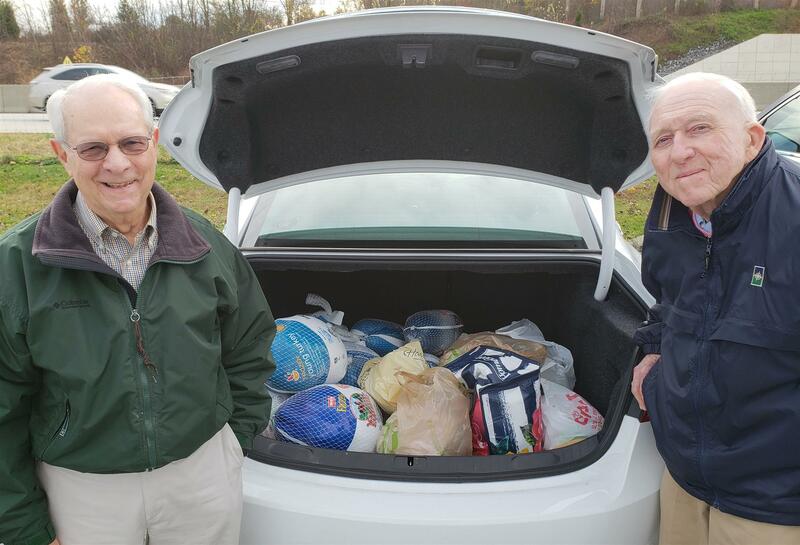 On November 14th, Mechanicsburg Rotarians brought turkeys and food to be donated to New Hope Ministries for the holidays. 11/14/2018 - (left to right): Dave Burns and Whitey Brownawell are shown with a load of turkeys and other food. Rotarians from the Mechanicsburg Club brought turkeys and food to be donated to New Hope Ministries for the Thanksgiving holidays. 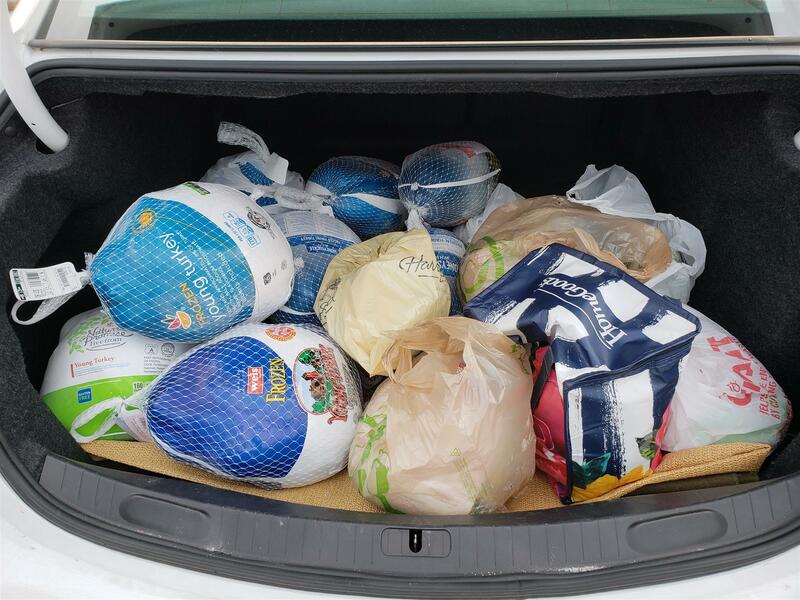 We delivered 16 frozen turkeys and other food items totaling 247 pounds! What a pleasure to work with great group on very generous Rotarians. The club collects food for New Hope Ministries at one meeting each month and has been doing this for many years.